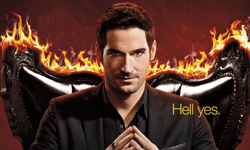 Tom Ellis attended ACE Comic Con in 2018 this post has his entire panel in it and is the most vistited post of this year. This was the next best thing to happen besides Lucifer picking up Lucifer. The first day back on set for season 4! 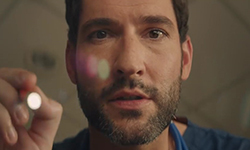 I also started doing a weekly post to create an Tom Ellis Inspired playlist. It has been on hold for the last few weeks due to the posts with the Queen America Screencaps. But I will be resuming my playlist in the new year! This is one of the many posts with Lucifer Behind The Scenes stuff. There was plenty to show on the BTS front, mostly thanks to Aimee Garcia, the queen of Lucifer BTS. Possibly a Cover on Men’s Health. Tom trained a lot also did a photoshoot and people have hinted it might have been for Men’s Health. So let’s see what 2019 will bring! I hope you’ll have a wonderful New Years Eve and see you in 2019!! 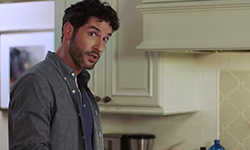 This entry was posted in Tom Ellis and tagged Tom Ellis, Update on December 30, 2018 by About Tom Ellis.